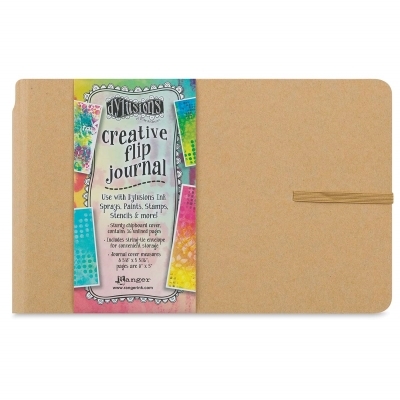 The Dylusions Creative Flip Journal holds multiple sheets of smooth, heavyweight (88 lb) mixed media cardstock, ideal for inks, sprays, embossing powders, stamping, and other media. Sturdy chipboard cover. Dylusions Creative Flip Journal, 5-5/8" × 8-3/8"
™ Ranger is a trademark.